The Ski Story: Laugh, it's good for you. Hope you use a speaker phone or even better a hands free device. 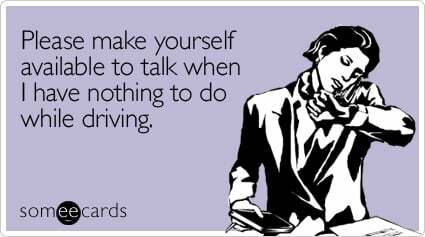 Years ago I thought I would seldom talk while driving. Things change I guess.